วันพุธที่ 04 มีนาคม 2015 เวลา 09:04 น.
Phra Ajaan Puth Thaniyo was born at Saraburi province of Thailand on the eighth of February 1921. His father's occupation was farming. Phra Ajaan Phut Thaniyo is a single child in his family. He was an orphan at the early age. When he was four years old, his father passed away, his mother left home and never came back. Therefore his relatives took responsibility for taking care of him. At the age of 15 he decided to ordain as a novice because of his hardship in life. 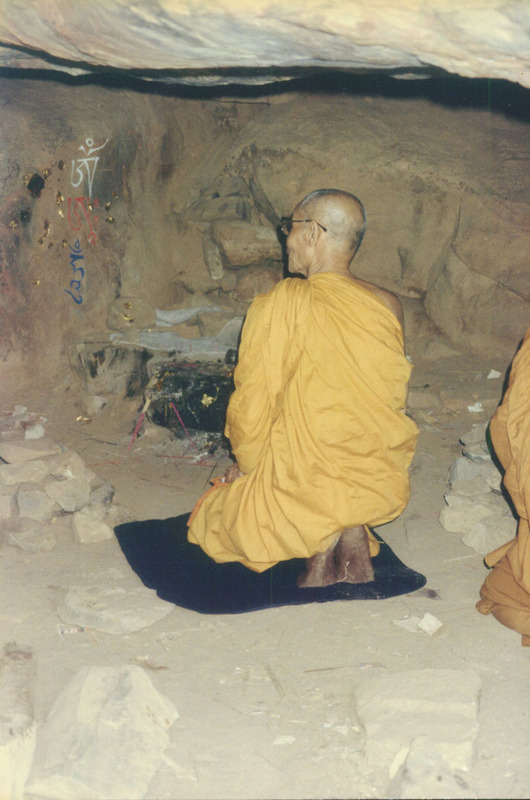 He was determined to continue on in monkhood for the rest of his life. 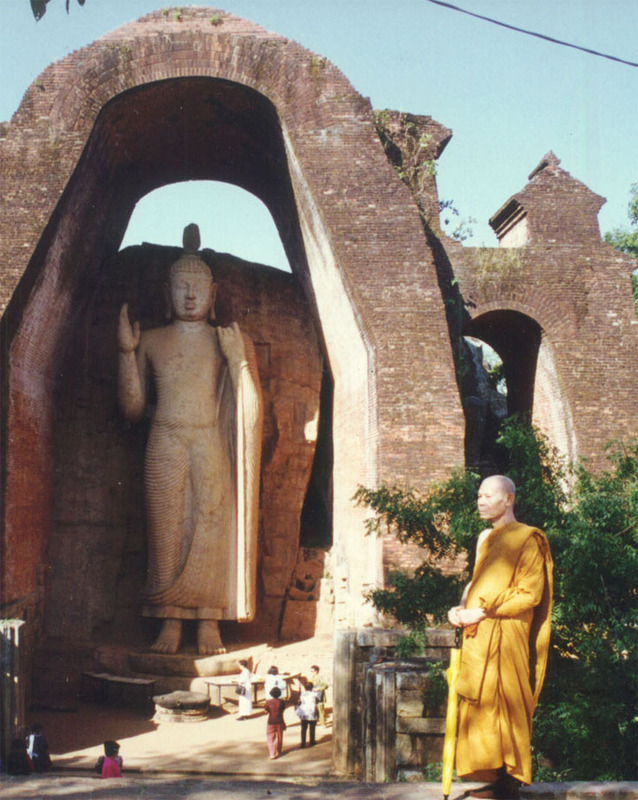 He finally kept his word and remained to be a buddhist monk until his death in 1999. He was 78 years old. 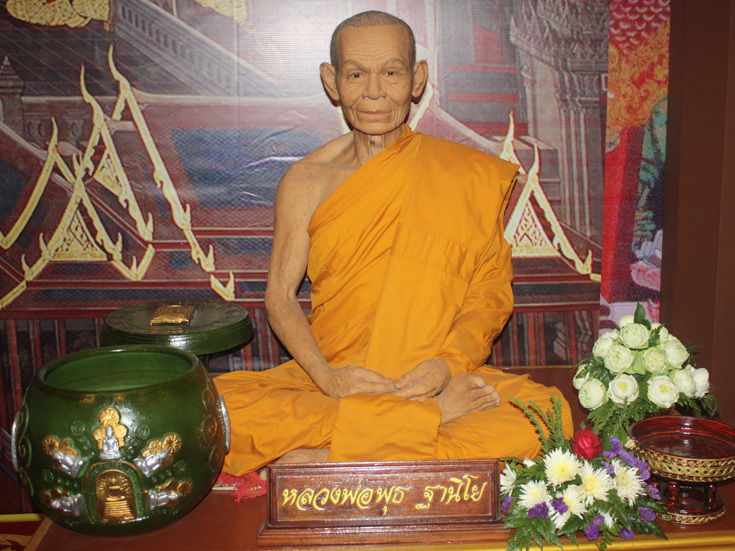 Phra Ajaan Puth Thaniyo is a last well-known student of Phra Ajaan Sao Kantasilo. Ajaan Sao and his student Ajaan Mun established the Kammatthana tradition. A true forest-dweller, Ajaan Sao left no written records of his teachings. Another of his students — Phra Ajaan Puth Thaniyo — did, however, record some of them in Ajaan Sao's Teaching: A Reminiscence of Phra Ajaan Sao Kantasilo, giving us a tantalizing glimpse into Ajaan Sao's terse but powerful teaching style. 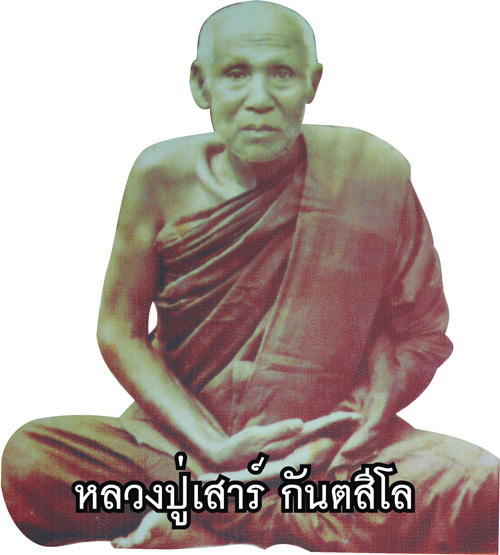 Phra Ajaan Sao Kantasilo Mahathera (1861–1941) was a monk in the Thai Forest Tradition of Theravadin Buddhism. He was a highly revered member of the Dhammayuttika Nikaya, the order to which the Supreme Patriarch of Thailand, Somdet Phra Nyanasamvara Suvaddhana, belongs. 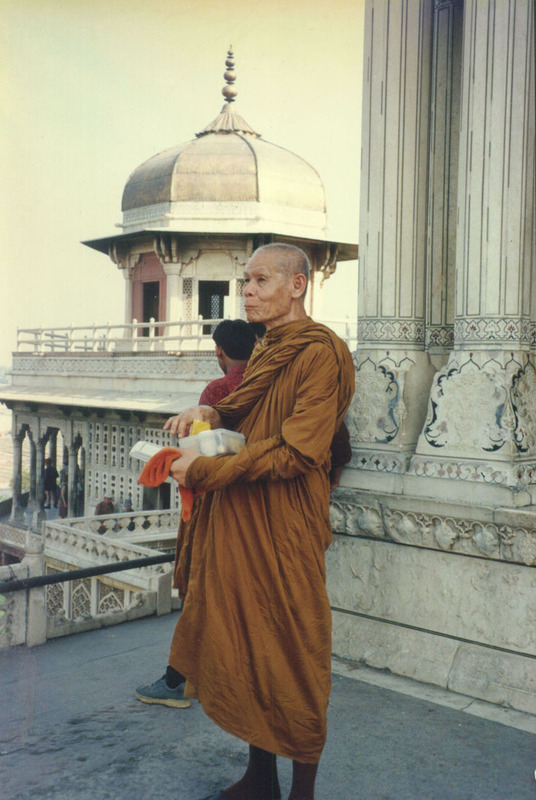 Ajaan Mun Bhuridatta Mahathera was one of his most well-known students. He was ascetic monk who firmly believed in minimal human comforts, in particular four basic requisites, and was very compassionate. After his cremation, his bone fragments were distributed to people around the Thai provinces. According to his followers, they transformed into crystal-like relics (Pali: Sarira-Dhatu) in various hues. 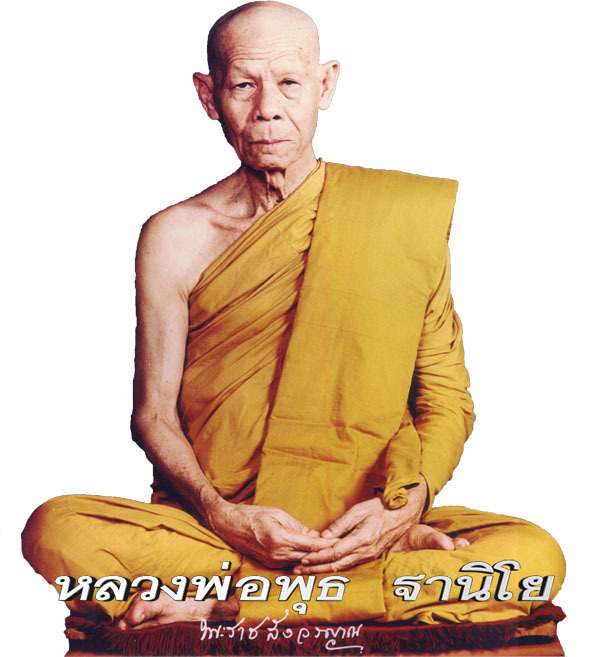 Phra Ajaan Puth Thaniyo, the Abbot of Wat Pah Salawan, Nakorn Ratchasima, Thailand is one of the last surviving meditation masters who revitalized and reactivated the forest tradition in Asia. Here in Thailand, the disciples of Phra Ajaan Puth Thaniyo number in the thousands. He has given Teachings to the royal family and almost all the important and high-ranking ministers, senators, and a lot of students. Phra Ajaan Puth Thaniyo is a role model of living a life of austerity and frugality. He is one of the greatest spritual teachers of Thailand. On the day of his cremation which was graciously presided over by Her Majesty Queen Sirikit and Crown Prince Vajiralongkorn, the place was full of Buddhists who came to share in the merit of the occasion. They came from far and near as well as many from Bangkok who had sacrificed their time to come. But in fact all of those who went to his funeral thought nothing of the difficulty and what it cost them, for their aim was just to make the occasion to be a fitting tribute to Phra Ajaan Puth Thaniyo. So it turned out that Wat Pah Salawan where they held his funeral, which normally seemed so spacious and open to everyone, was not big enough and bacame cramped and congested because of the large number of people, both the lay people as well as the buddhist monks and novices who came crowding in on that occasion. Phra Ajaan Puth Thaniyo was on a journey for a religious purpose to a pilgrim town in India. Focus on whatever you're doing. Even if you're just walking, or eating, or drinking, or sitting, or speaking to other people—how does it feel? There's probably some kind of commentary spinning through your mind, and it probably has to do with something other than what you're doing. Let those thoughts go and focus on what is (not what was, or what could be). In Buddhism, this is referred to as mindfulness. • Just breathe. When the moment begins to escape you, as it will certainly try to do, breathe. Take a very deep breath, through your nose, as deep as you can. Listen to the air moving into your body, and feel your lungs swell. Breathe out slowly through your mouth, letting the air escape on its own. • Pay attention to your other senses—touch, sight, smell, sound, and taste. Pretend it's the very last time you'll ever experience whatever you're experiencing. Have you ever been so engrossed in something that it seemed like the rest of the world just disappeared? Living in the moment is about creating that state of mind at any time. Slow down, and try to savor the present. • Listen to the world. The birds, the sounds of one car passing, the conversations of distant strangers, the cracks and creaks of the building as it heats and cools, the planes overhead, the footsteps of passers-by. The moment is all around you. • Mindful Walking. Walking next to the sea: the sounds are there, the wind is there, we are there with the sun, with the breeze, and with our breath and awareness of our body moving, but without our thoughts. • Mindful Showering. When showering and bathing suddenly remember yourself, and stay as long as you can – remembering the water flow, its temperature, its contact with the body. Mindfulness is the ability to see things as they really are, without the cloud of feelings, prejudice, or even mood. Mindfulness is part of the eightfold path of Buddhism and can be a key part of meditation. It is also used in western culture as a therapeutic technique to reduce stress, pain, and even help with depression. It can be used to find and maintain a sense of gratitude toward life. 1 Learn more about mindfulness. You don't have to practice Buddhism or even meditate to practice mindfulness, but learning more about its roots and uses can help you understand how to practice it better in your own life. • Right Mindfulness is the seventh element of the eightfold path of Buddhism, and adherents are taught to "constantly keep their minds alert to phenomena that affect the body and mind". • Mindfulness Meditation encourages practitioners to do much by doing nothing. 2 Begin your own mindful meditation practice. Find a quiet place, then focus your mind on the present moment. Don't think of other things, but sit in silence. Begin with ten minutes and meditate daily. Be aware of your thoughts, but be willing to release them and stop thinking about or focusing on them. 3 Focus on your breathing to help you eliminate distractions. As you look toward a mindfulness meditation, practice focusing on nothing... or consider choosing a mantra - your heartfelt word or phrase that distills/instills mindful moments. 4 Practice mindfulness outside of meditation. Be aware of your body, your emotions, and what is happening at that moment. Notice sensations. Identify cues that will bring you back to your mindfulness - such as an hourly chime - but otherwise reduce distractions and busyness, and practice living in the moment. 5 Consider gratitude. As you become more mindful of your present, recognize the things around you that you may have taken for granted. 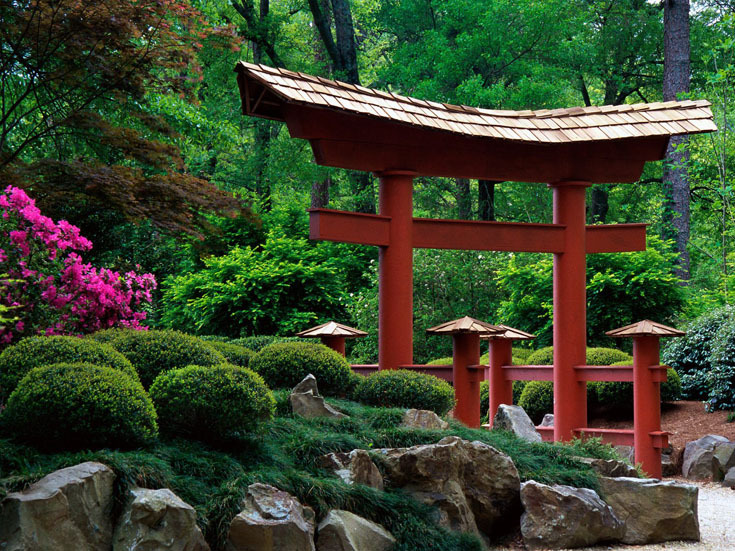 The Four Noble Truths are the core Buddhist beliefs. 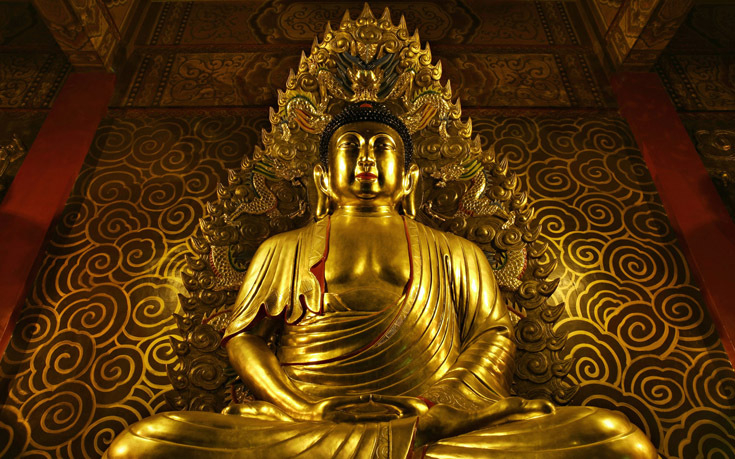 These were the first teachings given by the Buddha after he attained enlightenment. They are four simple teachings that describe the way life is and how we can attain true happiness. Having understood one, the rest make sense on their own as they are all connected, but you do get better results by exploring them all. 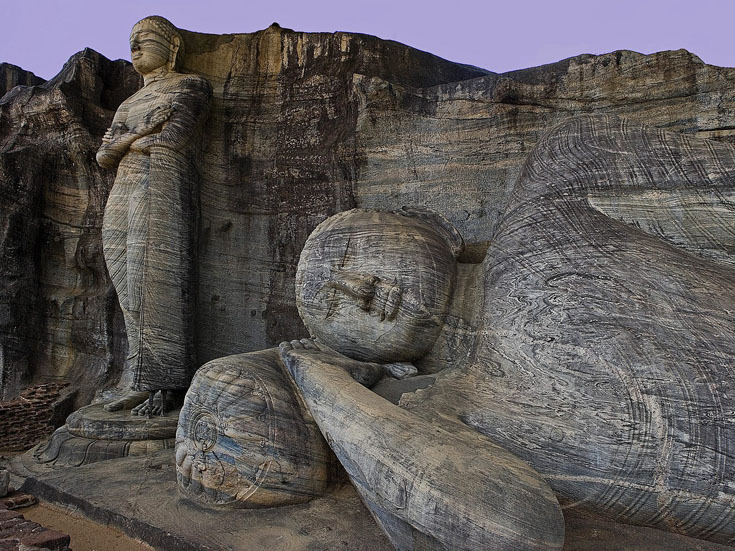 These truths can be believed and applied by anyone - Buddhist or not. Here is a beginners way to investigate and use the Four Noble Truths. • "Now what, friends, is the noble truth of stress? Birth is stressful, aging is stressful, death is stressful; sorrow, lamentation, pain, distress, & despair are stressful; not getting what is wanted is stressful. In short, the five clinging-aggregates are stressful." • Consider the following ideas and points: It is frequent that people miss the target by handling them without looking deeply at them. • The five clinging aggregates are the five things we collectively use to make up our identity. These are the body, physical feelings, mental fabrications (thoughts and fantasies, feelings, images & cognition etc), perception and consciousness. • In human nature, we value the things we identify with and call our own. No one wants to admit that the things they believe are themselves are stressful. That in itself is a rather important point about how our desires and ignorance plays tricks on the mind. The first question to ask is, does the body get injured, diseased, old, damaged etc? The simple answer is yes, but the more key question is, was this our choice? • The first truth offers pretty basic examples in today's society. With improvements in food, healthcare, technology and education, we live vastly improved and more complex lives from those hundreds if not thousands of years ago. This security can make it more obscure as we have so many avenues of distraction to prevent or ignore unhappiness, despair or other feelings we don't like coming into play. • One of the reasons it seldom makes any break-throughs or obvious changes to our lifestyle and way of thinking is because part of the process is to deeply examine each individual aspect of life and test it. Is it stressful, does it last forever, does give us eternal happiness or satisfaction? Most people never actually ask themselves these questions, preferring simply not to think about it. Some people are lucky enough to float through life, but it does ultimately mean they missed a chance to know themselves. • You can compare it with basic things you know from your personal experience. We may love donuts, but we cannot eat them for long before we are sick of them or become ill because of them. We exist well with moderation. Sometimes like a drug, we need more and more of it for the same result as we desensitise or become tolerant to its effects, so it will never really gives us we we want, or what we need. • The relevance behind the first truth is the scope of ways dis-satisfaction occurs in life. Because everything changes eventually and that nothing lasts forever is that we cannot depend or rely on things and truly call them "me, mine or what I am". In the same token they will not give us lasting satisfaction and happiness as the body is biological and so exists in dependence on conditions such as food, air (etc). The same applies to the rest of the aggregates; would we allow ourselves to have unpleasant thoughts, nightmares & feelings, biased and often inaccurate perception and instincts (and so on) if we had the choice? Is it possible for us to exist as we are, moving and experiencing without the impermanent nature of the mind and body? • "And what, friends, is the noble truth of the origination of stress? The craving that makes for further becoming — accompanied by passion & delight, relishing now here & now there — i.e., craving for sensuality, craving for becoming, craving for non-becoming"
• Consider the following ideas and points: It is just as frequent that people miss the target with the remaining truths by handling them without looking deeply at them. • What the second truth is about here is there are three common formats of desire and cravings and stress arises when we start desiring or becoming attached to things. Proportionate to the amount we are attached to it is proportionate to the amount it hurts when we no longer have it or it becomes something we didn't want. • Craving for sensuality is wanting anything to come to us, to happen, to be etc, such as love, money, fame or power, pleasant feelings, good health etc. 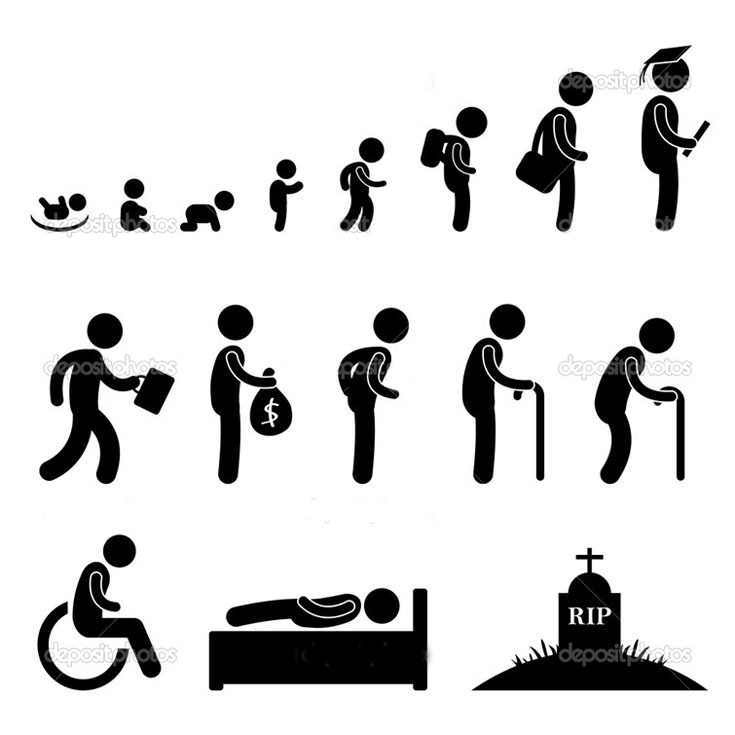 Craving for further becoming is wanting our life to be so that things will continue, that we will have an eternal life or afterlife, that there will be life security, quality and meaning. Craving for non-becoming finally is wanting things to go away from us, for annihilation, for things to not happen, to not exist such as poverty, pain, illness, death, other people, our work problems etc. People who desire pleasant things tend to go for the first, people who are not very knowledgeable or aware of what is going on tend to go for the second and those who have been embittered by experiencing much unhappiness tend towards the third. • Consider according to your own experiences. When there is the desire for things to be other than what they are, but when we cannot make them be so is there stress, disappointment and dis-satisfaction?. It is inevitable as our willpower, desires and attachments are impotent against change. For those who hold onto their preferences, possessions, dreams and fantasies etc, forms the attachment that makes the stress come back over and over. Wanting the problem to go away is still wanting, so it too does not let go of stress. • By not knowing the facts of life generally as well as what happens in our minds is ignorance, which to the Buddha was the key problem. This is rather complex because if you don't know the what, why or how things are as they are, it can cause stress as we cannot explain them. But also if they want them to be something else; as they want things to be, then that too is ignorance as the person does not always realise what they have just done - fallen into the trap yet again. • Often we are quick to accept an alternative hypothesis that can prevent us looking at the world as it is, if it offers us hope or something better than we now have, a more sunny outlook, or just a way to prevent us having to see things as they are. But when our preferred concepts of reality don't align to what is actually going on, then this also causes problems as they are not compatible. This leads the first truth to the second truth - the capacity and chances of dis-satisfaction and stress in life is unavoidable and because we aren't prepared to accept it is so, we start wishing things are different and attached to ideas and promises. As our desires, mental and physical powers cannot make them be exactly what we want, they are the foundation of all unhappiness. This leads onto the third. • "And what, friends, is the noble truth of the cessation of stress? The remainder-less fading & cessation, renunciation, relinquishment, release, & letting go of that very craving." • Again consider the following ideas and points: It is frequent that people miss the target with the remaining truths by handling them without looking deeply at them. • The third truth is quite literal and interesting as it simply flips the original problem over. With cravings for things we cannot get and clinging to things we cannot keep brings us unhappiness, when we let go of the same wanting and clinging, we let go of the problem as it can't survive on its own. • This however is not as straightforward as it always bounces back to ignorance as a central problem. If we don't know what's going on in our minds at the time, how do we know when a problem is there, or that we are indulging in fantasies either positive or negative - how do we know we've fallen into the trap once again? Mindfulness is the solution and that takes practice. There are also times that certain deeper parts of the mind seem attached to the things you may have independently decided you didn't want to get involved in, such as depression, anger, arguments with people etc. By practicing mindfulness you can separate these factors out and see when the mind is attaching itself without your consent. • Letting go of the things that you know will cause you harm is the obvious beginning, however the longer term practice only really gives results when you have seen enough to recognise instantly when your mind has walked into a trap, even to knowing what the traps are so you can avoid them in the first place. • This is also one that can be tested by personal experience. Consider times when you have let something go, or when circumstances changed and that you no longer worry about an issue and so felt like you have put down a heavy burden. • Overall, it is unavoidable that you have to see your mind for yourself, which is why so much emphasis is placed on meditation. By meditating, you can see all the things happening, coming and going and how we act and react. By seeing this change in action is the way to become familiar and dis-enchanted with the things that cause stress. Dis-enchantment is the most effective tool for pulling the mind back into line when it starts diving into anger, depression (etc), because you no longer have an inclination to experience those emotions and the emotional hangover. By focusing more and more, by looking deeper is how you see the more subtle ways the mind is often hoodwinked, or sinking into an indulgence. • The third truth is a practical one so a person needs to test it in their own way to see if it can actually be done. When we start small, letting go is much easier as we become familiar with doing it as we are no longer surprised at the way the mind works and no longer attached to the things that cause problems. Once seen as it really is, ignorance of the facts are destroyed - there are no more mysteries. A simple analogy is when you go to a course to learn how to make bread and learn how the yeast and gluten works, then bread is no longer a mystery as you know what it is, how its made and what the yeast needs to be able to work. • Consequently, one of the places where most people fall short is because its really much easier to make up a story, or to pin our hopes on an idea to explain these problems away so we don't have to deal with them. Quite often they are parallel experiences as a person no longer worries about an issue when they install unquestioning faith in a concept. They then feel happy and free and no longer desire or cling to alternative ideas if it answers enough questions. But if ever the thing that a person puts faith in is something that is contradicted by the way the world is, then they will face problem after problem. • Another aspect where people often fall short of the goal is simply thinking they have done enough by dealing with the worst of the issues. Ultimately its about letting go of the more subtle issues and problematic feelings that cause other problems as well. Learning to recognize this when it happens is an important step as this one of the many manipulations created by the mind that has been running wild for so long. 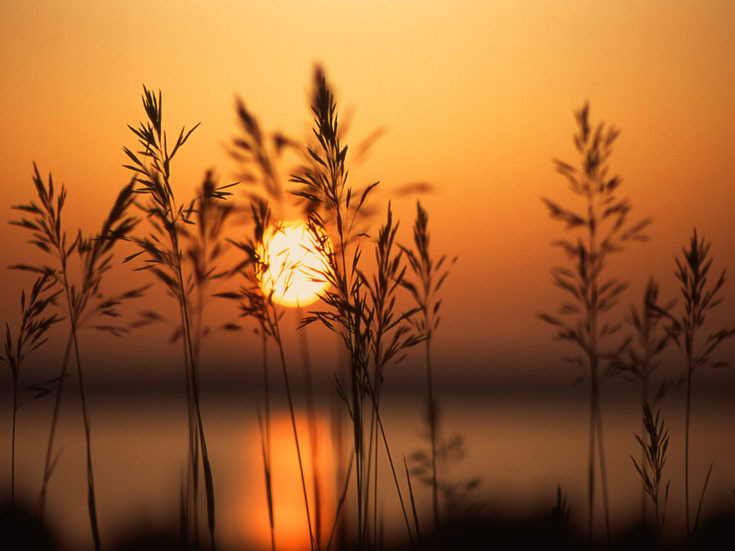 • "And what, friends, is the noble truth of the path of practice leading to the cessation of stress? Just this very noble eightfold path: right view, right resolve, right speech, right action, right livelihood, right effort, right mindfulness, right concentration"
• Just like the previous 3 truths, most people miss the target by handling them without looking deeply at them. In this case it applies but it also is when a person does not practice them effectively. • Free Your Mind as an article explores how to use the eightfold path a little more in depth. The eightfold path encourages you to learn the facts as facts but gives you tools and means to do so. It also helps you train your mind into the habit of recognizing stress and then letting it go, until it becomes automatic. • It is important to remember however the knowledge does not make all problems go away, as the body is still the body, the mind is still the mind, the difference now is you know there are no real excuses left and that the stress and unhappiness we experience is caused by the mind. • Occasionally people who study the eightfold path still don't get any insight or understanding but this is largely because of how the path is followed. Consider this analogy: A cake is made of flour, eggs, sugar, butter and milk. Too much milk and you end up with pancake batter, too little sugar and it is tasteless, too little butter and it is dry, too many eggs and it makes a quiche. If you mix the ingredients in the wrong proportion and in the wrong way it doesn't give as good a result as it could do. Its all about getting the recipe right and in balance to make a good cake. So it is with the noble eightfold path as it needs to be in proportion to get results, by developing virtue, the mind and wisdom and studying the results you can adjust the path for the best result. What i don't realize is in truth how you're not actually a lot more neatly-preferred than you may be now. You're so intelligent. You already know therefore significantly in relation to this topic, produced me in my opinion believe it from so many numerous angles.